Most Americans today believe technology is key to managing their health. In fact, a 2018 Rock Health survey found that 89% of respondents used at least one digital health tool in the last year—from remotely connecting with in-network specialists to monitoring chronic conditions through wearable devices. Simply put, technology is vital to driving healthcare utilization. Benefit leaders should take notice for other reasons, too. Digital solutions can help companies better manage, analyze and maximize the ROI of their healthcare plans, not only to reduce costs but also to improve employee satisfaction. So how do you choose which ones to adopt? For many companies, healthcare and wellness benefits are too complex to operate on a single solution. Instead, benefits professionals create a “stack.” A healthcare stack brings together different software tools to cohesively improve health outcomes and manage costs. Each layer needs to support the flow of data, from insurance carriers to members and back. Its design will ultimately determine how employees access and use the benefits you provide. With the top 5 ways to increase healthcare utilization in mind, here’s how employers can achieve their utilization goals through their healthcare stack. Today’s consumers expect a seamless experience, and it starts by establishing a unified flow of information. Benefits professionals should ensure that every stop in the patient journey uses the proper Electronic Medical Records (EMRs) so data is transmittable and usable. Start with the insurance carrier. Then think all the way down to the employee. How does your population want to use and access their healthcare? How can data be collected from those touchpoints? This will guide which services and vendors to incorporate, from those with mobile apps to convenient care options like telemedicine, retail clinics and urgent care visits. When it’s not being accessed, data needs to be digitally stored and protected in accordance with the law. According to Accenture, one in four U.S. consumers have already had their healthcare data breached. That means companies need to be proactive to regain their employees’ trust and encourage their use of digital health tools. Choose only solutions that are fully compliant with the Health Insurance Portability and Accountability Act (HIPAA) and other relevant regulatory frameworks. Cloud-based solutions, as opposed to native storage, will provide greater functionality, security and convenient access to all users. The next step is to pull out statistical significance. Data analysis technologies include risk indexing, benchmarking (even against other similar companies) and forecasting tools to better track and predict the health of a given population. For example, identified patterns around cancer development can be used to notify employees and physicians alike to take action when or before it’s needed, leading to better outcomes and improved employee satisfaction. Once it’s accessible, secure and digestible, healthcare data can be used to directly impact employee engagement and usage. Consumers want 24/7 access to real-time care, no matter their location. Luckily, technology solutions can make that happen. Online portals connect members to appointment scheduling, prescription refills and their medical records. Automated email, text messages and voice calls deliver timely and consistent messages on everything from checkup reminders to birthday greetings. Benefits providers can look for comprehensive member engagement vendors to unify the member-facing journey from beginning to end. Crafting the perfect healthcare experience for today’s employees requires a lot of moving parts. 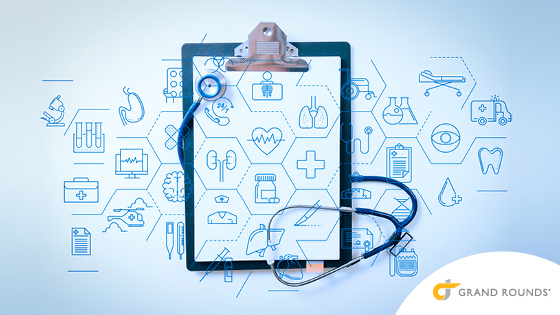 But with a thoughtfully designed healthcare stack, today’s software solutions can work together to drive healthcare utilization like never before.